Contour Upholstered Stools feature high-resilience foam that maintains its shape and support through hours of intense lab use. They're equipped with a 66 cm (26") diameter composite base with 5.1 cm (2") casters and round 38.1 cm (15") diameter seat. 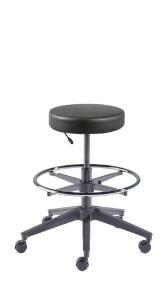 Medium and high-bench stools have a 50.8 cm (20") diameter footring with adjustable-heights. 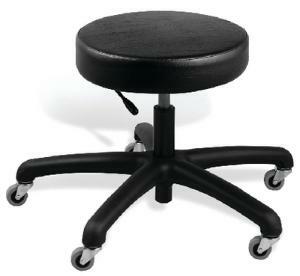 Ordering information: Contour seating is covered by a five-year manufacturer's warranty against defects in material, workmanship or abnormal wear. Upholstery is covered for one year. Pneumatic cylinders are covered for the life of the product.